If NYC wants to maintain its position as a fashion capital of the world, it should not continue to prop up a declining, polluting, cruel industry. Friends of Animals (FoA) is calling on New York City, one of the “big four” fashion capitals, to ban the sale of fur products. The signs that fur is over are everywhere. More than 60 percent of Americans find killing animals for fur amounts to cruelty to animals, according to an Angus Reid survey, and key fashion designers have turned away from fur. This year, London’s Fashion Week went fur free and Coach, Diane von Furstenberg and Burberry’s announced they will no longer use fur in designs. Chanel, Coach, Gucci, Michael Kors and Versace also announced this year that their fashion houses would be fur free. 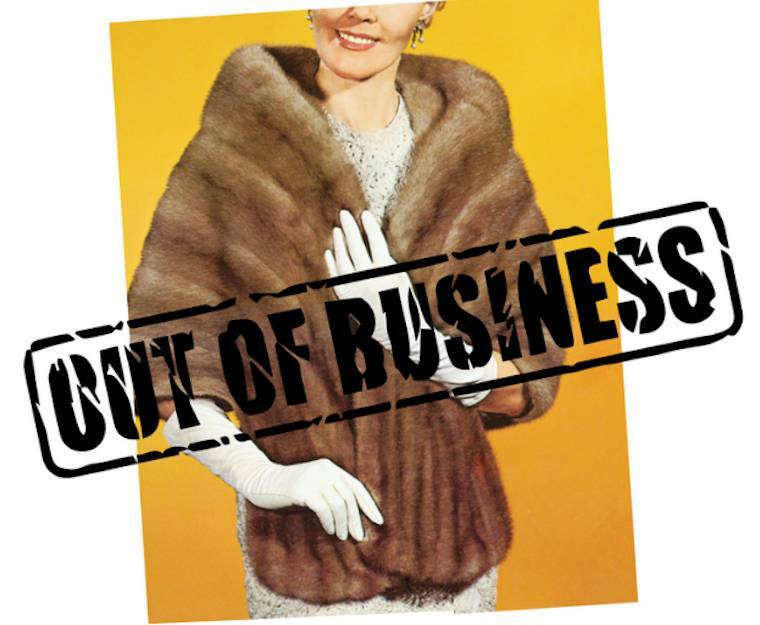 In fact, more than 850 retailers have stopped using fur including many New York City-based designers such as Ralph Lauren, Calvin Klein and Hugo Boss. The U.S. fur market is getting smaller. In 2017, global retail fur sales generated $30 billion, with more than half of that from China, according to the International Fur Federation. That’s down from $40 billion in 2014. The U.S. fur market generated $1.4 billion in retail sales, which pales in comparison to the market in China, Europe and Russia. And New York City’s fur district is disappearing. Where once there were 450 fur factories, now there are just a handful and there is no longer a fur fashion week—all evidence that society’s desire for a product that depends on the slaughter and suffering of animals has waned. San Francisco, Berkeley and West Hollywood have gone fur-free. Los Angeles is considering a ban and legislation has been introduced to ban fur sales in the state of California. This upswell of anti-fur sentiment is gratifying for FoA, which has been educating the public about the fur industry’s heinous destruction of animals for decades. FoA’s legislation would prohibit the sale, offering for sale, display for sale, trade, gifting, donation or other distribution of fur products within the city. Eliminating the sale of fur products within New York City will promote awareness of the cruelty involved in fur products and create a more compassionate environment. It would follow the tradition of New York City as a leader in animal rights and protection, FoA, which was incorporated in New York in 1957, told council members. It would also help promote innovation in cruelty-free vegan fashion. In 2013, New York City-based fashion house Vaute Couture made history as the first all-vegan label to show at New York Fashion Week. Indeed, consumers are turning to cruelty-free fashion with gusto. Vegan fashion is projected to be a major trend this year, according to J. Walter Thompson’s Future 100 report. In its NYC2020 study, New York City’s own economic development department called on the city to step out front and be a leader in fashion innovation. Fur-free fashion designers are already turning to sustainable fibers. Hugo Boss, for example, introduced a shoe line made with pineapple fibers. While the fur industry tries to cast animal pelts in an eco-friendly light, the production of fur adds to climate change and toxic emissions. Fur production has two to 28 times higher impact on the environment than textiles. Each mink skinned by fur farmers produces about 44 pounds of feces in the mink’s lifetime, which adds up to 1 million pounds of feces produced annually by mink farms. The byproduct of the feces, phosphorous, can leach into waterways and contaminate river and stream ecosystems. Additionally, “wild-caught” fur is no better. A study by Ford Motor Co. researcher Gregory Smith found that fur production from free-living animals requires three times the energy as the production of a synthetic coat when fossil fuels used by vehicles and the equipment used to tan and process pelts are factored in. “We are calling on New York City to reject the violence behind every piece of fur and support freedom for wild animals. Their beautiful fur belongs to them, nobody else,’’ said Feral.